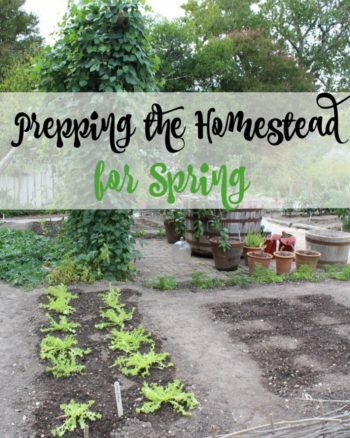 If you like crafting your own homemade remedies, growing herbs can help! Herbs are a natural way to infuse your homemade oils and salves, and can be helpful when you are experiencing a variety of ailments. 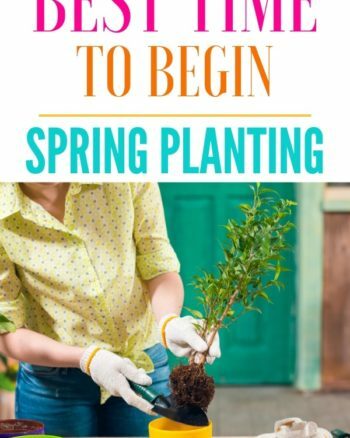 Look below at 7 plants to grow for salve making, and see which plants you should make room for you in your yard! You will find that these herbs can give your homemade salves the boost they need to get the job done. Chamomile not only smells sweet, it can be added to salves to help with aches, anxiety, and even colic. This perennial will come back year after year, so plant it once and you can enjoy it for salve making years to come. Another benefit? You can use chamomile in your homemade tea recipes. 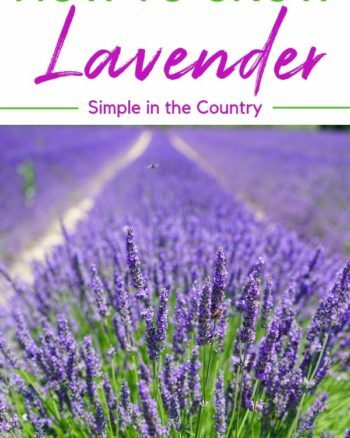 Lavender is one of the most popular herbs used in homemade salve recipes. Lavender can be added to salve recipes to help muscle aches, swollen sinuses, headaches, and insomnia. 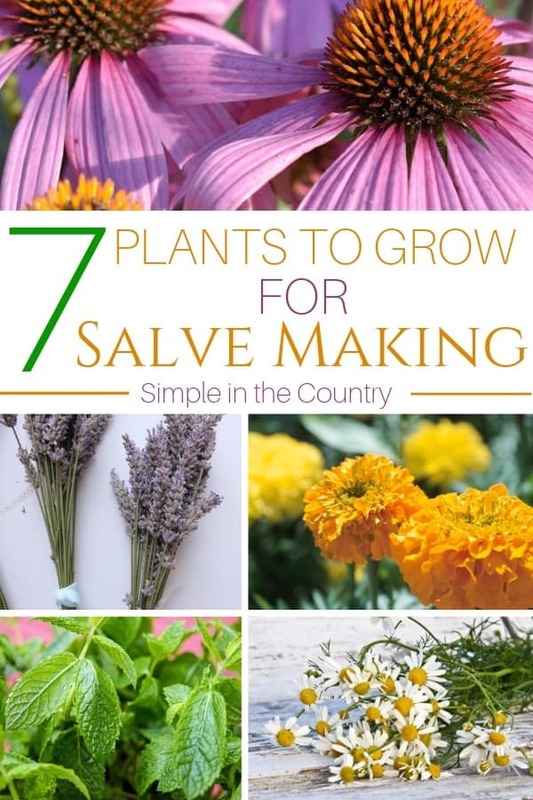 The soothing smell makes it perfect for salve making, and the fact that it is an easy to grow perennial makes it even better. Echinacea may be hard to pronounce, but it is not hard to use! Add echinacea when battling cold and flu symptoms. It can make an excellent muscle rub that can help relieve the sniffles and build the immune system. If the flu hits your house often, you should consider growing this powerful herb. Mosquitoes hate lemon balm, but you should love it. This herb smells amazing and can help keep biting bugs at bay. Add it to pest repelling salves, or use it in sleepytime salves. You can buy lemon balm quite inexpensively, and it will grow well in all climates, so it is worth trying out. Peppermint isn’t just great to grow for tea, but you can also use it in salve making. Peppermint salve can be used to help sore muscles, headaches, or even to help revitalize your senses. Plant it once and it will grow for years to come. Did you know that marigolds can be used in sunburn salve? Marigolds can help soothe sunburn and other minor skin irritations. Plant marigold around your garden to keep pests out, then use the blooms for salve making! Rosemary isn’t just great for marinades, but it is great for salves, too! Use it in salve designed to help improve mood and concentration. Rosemary is sure to help and can assist you in feeling more relaxed, happy, and focused. Making your own salves is simple and can be done with just a few household ingredients. Consider these 7 plants to grow for salve making and see how they can come in handy when you are whipping up your homemade remedies.